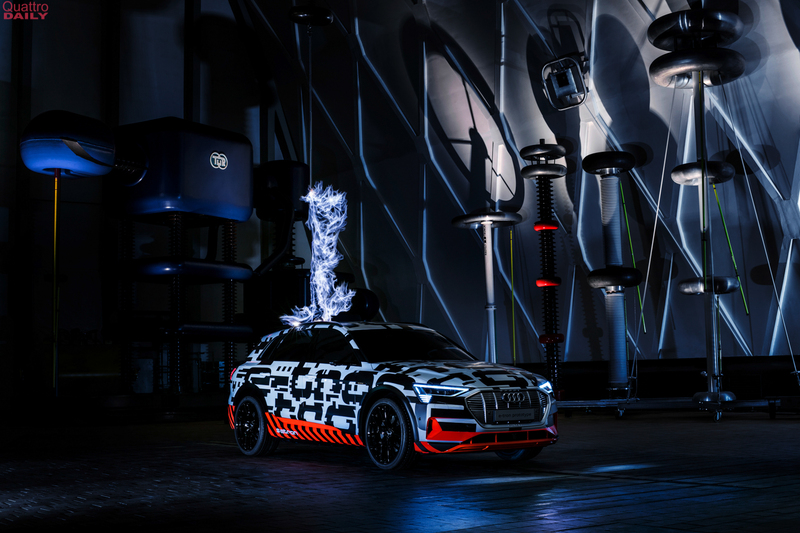 Audi’s marketing team has been on a bit of a roll with its teasers, as we just saw two teasers of the Audi e-tron SUV. Now it seems as if Audi is teasing the electric SUV once again on Facebook. We’re all patiently awaiting the reveal of the Audi e-tron SUV, as it will be the very first all-electric Audi in the brand’s history. It will also be an impressive car, as it will pack enough power to get to 60 mph in under five seconds and a driving range of 248 miles. So its anticipation is what makes us think that this teaser is, indeed, of the Audi e-tron. Just looking at its shape, it could be either the e-tron or the upcoming Audi Q8. They look about the same, in terms of style and overall shape, so it could be either one, to be honest. However, we’re inclined to think it’s the e-tron, thanks to the fact that there have been a lot of teasers of the e-tron in the past few weeks. There’s also the caption, which reads “He carries the genes of the Audi UR Quattro”. That’s a reference to the original Audi Quattro, which launched the brand into the world of performance cars. We recently heard an Audi representative say that e-tron is going to be the name that launches Audi into the world of electric cars, much like the original Quattro did for performance. So that caption makes us think there’s a connection there. Also, the car seems to have it silhouette lit up in green neon lights, which sort of seems techy and electric to us. Although, that doesn’t mean that this isn’t the Q8. We’re just assuming it’s the Audi e-tron based on timing. Either way, with all of this teasing going on, it seems as if Audi is on the verge of a major reveal. Stay tuned.